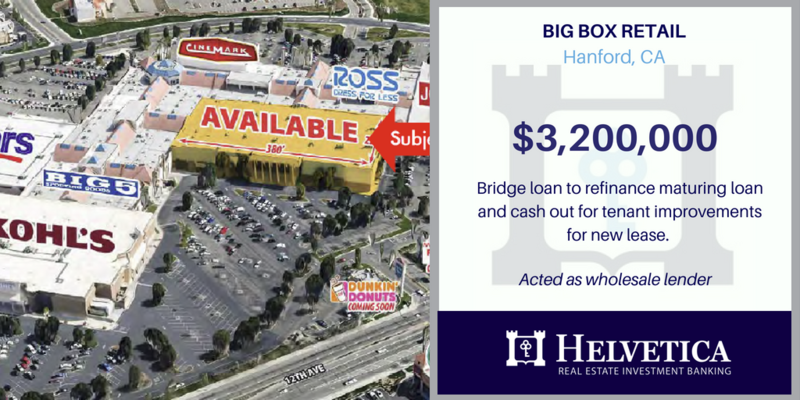 HANFORD, CA - Helvetica funded a $3,200,000 bridge loan on a three unit, vacant, big box, retail building in Hanford, California. The latest transaction to grace the Helvetica closing table was a cash out refinance, brought to us courtesy of a local commercial mortgage broker. 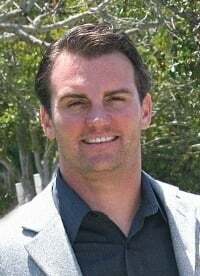 The broker partner contacted Helvetica, on behalf of his client, who was seeking to refinance their existing debt that had recently matured as well as obtain cash out to perform tenant improvements and pay for leasing commissions. While the borrowing entity consisted of a strong group credit & experience-wise, the property presented its own unique challenges to financing, due to low occupancy, very few historical financials available, and some value concerns. There was also the need to refinance quickly, due to the already matured note that was in play. Although there were hurdles to overcome on the way to the finish line, Helvetica was able to work through each issue and close quickly with the cooperation of the broker and borrowers. The end result was a funding that allowed for pay off of the current lender, while providing enough cash out to complete improvements, pay leasing costs, and setback an interest reserve for payments. The rate of financing was also significantly lower than what the borrower was previously paying, saving them over $60,000 a year in interest. With adequate cash in hand to improve the property and secure new tenants, this property will be an ideal candidate for conventional bank financing in the near future. Helvetica offers a wide range of loan products for both commercial and investment properties. We provide common sense underwriting and creative financing options. Contact us today for a quick close without the hassle of traditional bank financing. Have a loan like this?